what happens in coaster brake hubs are a mystery to some. 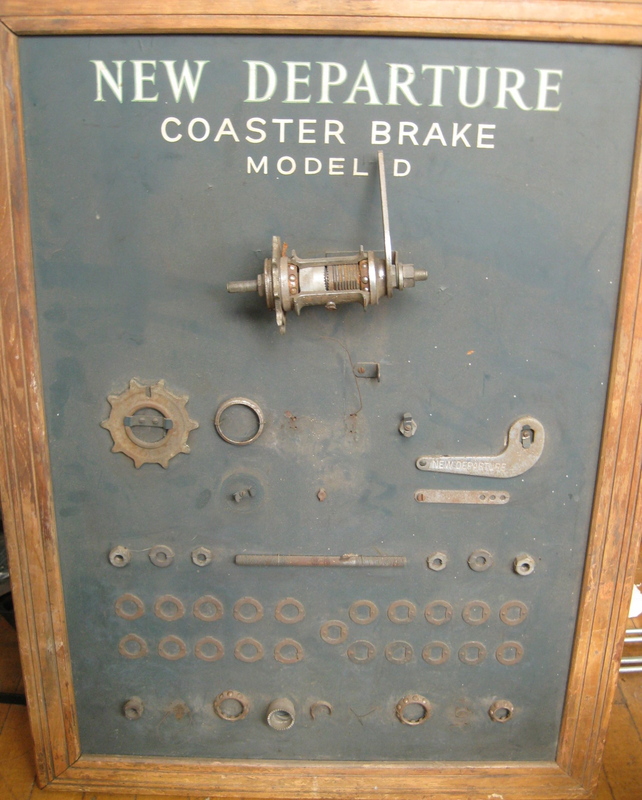 New Departure, along with Bendix and others, had hub shells cut open for display at local bicycle shops. 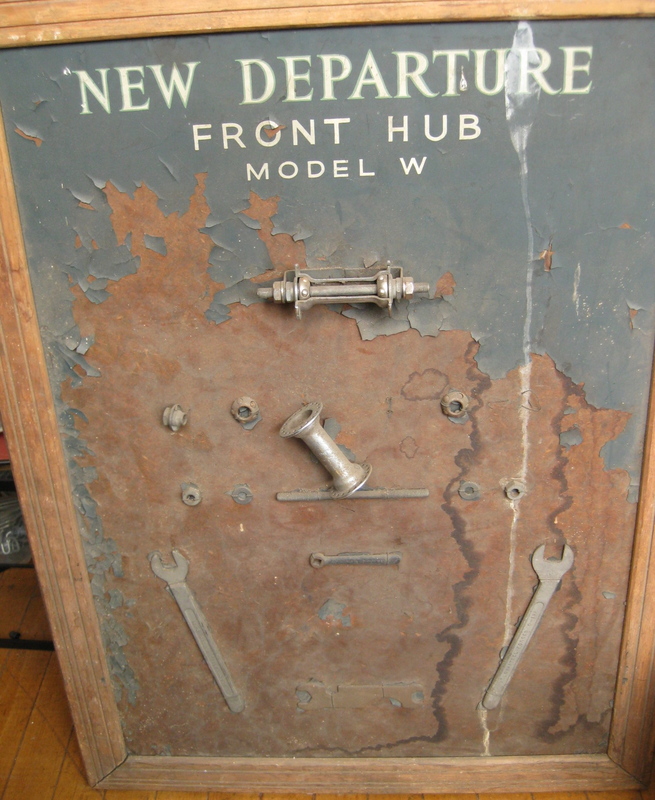 I have never seen these display boards before by New Departure. It has the cut open hub shells, and then lays out all the parts inside the hub, including the tools to work on the hubs. I didn’t even know we had them, they were buried in a corner of our shop. These would make an amazing display. That is really cool, do the parts move so you can see how the brakes work when applied? not in this display, because it is mounted to a board, but I will post photos of some other hub displays. We have Bendix, New departure, musselmen, and I think even a Sturmey Archer 3 speed hub. this display is more about the parts inside. That darn transfer spring (part D12), but I like those Model D hubs.